The Leaf Bagger for Swimming Pool will pull leaves and debris out of your pool in no time. Just attach your garden hose and telepole to the base of the unit and turn on the water. The resulting venturi pulls leaves and debris off the pool bottom and into the attached bag, keeping them out of your hair and lint pot. Perfect for quick, easy spring clean-ups. 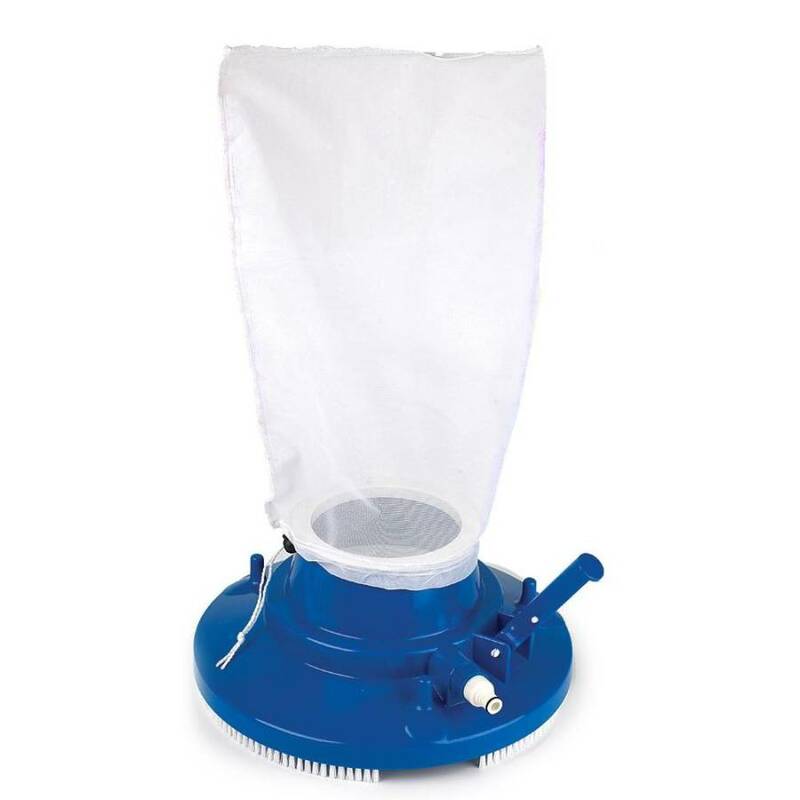 Super large capacity mesh bag and 15" diameter vacuum gets the job done fast - just 20 minutes or less! Use the Leaf Bagger in concrete and vinyl liner pools. Comes complete with handle quick-release Snap-Adapt handle and leaf bag. Can be used in conjunction with a telepole (not included).